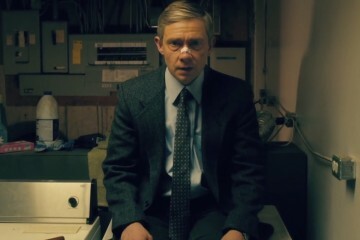 Last night Fargo, the triumphant TV adaptation of Joel and Ethan Coen’s 1996 film, returned for a much anticipated second season. 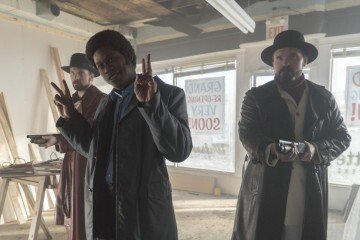 Led by Billy Bob Thornton and Martin Freeman on screen, with Noah Hawley behind the camera and the Coen brothers in executive positions, the first ten-episode season of Fargo proved to be an unmitigated success, but would the premiere of the much anticipated second instalment fare similarly? 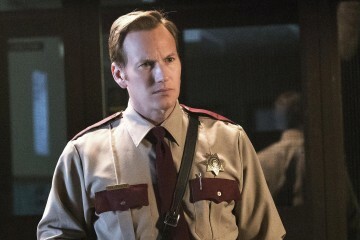 With Hawley back in charge and a brand new star studded cast, including Kirsten Dunst, Patrick Wilson and Jesse Plemons, the second season of Fargo seeks to unearth the origins of some of the places, characters and organisations of the film and first season by travelling all the way back to 1979. Lou Solverson (Wilson), father of Allison Tolman’s character from the first season, is a cop charged with investigating a mass shooting in a café, the perpetrator of which being part of a large crime syndicate in the area. What Solverson doesn’t know is that his killer was hit by a car moments later, by Peggy Blomquist (Dunst), whose husband (Plemons) finishes him off when he is attacked by the him in their garage. As you can see there was a lot going on in this episode. It was full of the almost comical blood and gore of its predecessors and we heard a few snippets of classic mundane Fargo dialogue (“Okay, then!”). A few plotlines were set up, ones that are already intersecting, and the awkward crossover between the murderous and the domestic was certainly familiar. There was something missing, though. Nothing was notably wrong with this episode at all; it did all it had to do. But that’s kind of where it stopped. It felt like what some may have worried the first season was going to be: a mildly formulaic, paint by numbers rehash of the film. The odd quirky bit of dialogue isn’t really enough after the compellingly twisted Lorne Malvo and his apprentice of sorts Lester Nygaard of last season, or the equally unnerving characters of the film. Once you stripped back all of the funky editing and humorous catchphrases (and there was plenty of both this time around), what really made last season so gripping was the psychotic yet eerily seductive nature of its characters. 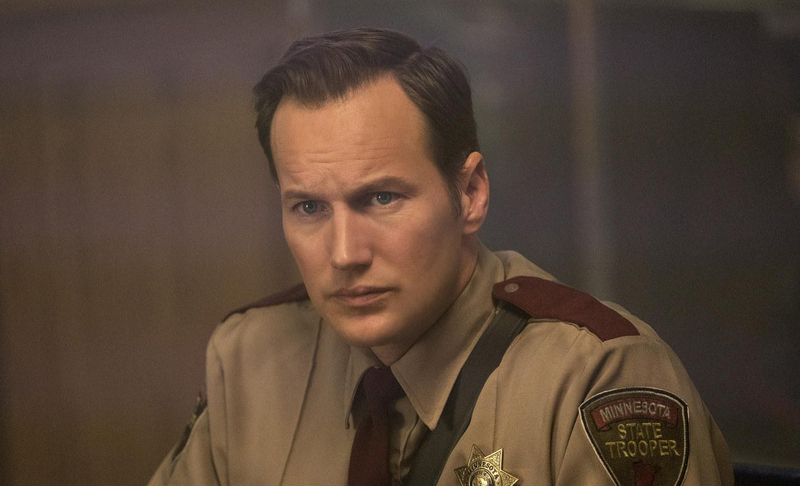 Billy Bob Thornton has evidently left a big charismatic serial killer-shaped hole in the Fargo format, and it may take a while for that to be filled. Whilst the lead actors of this episode did nothing wrong whatsoever, their characters aren’t as fleshed out or even interesting as we have come to expect from this habitually subversive show. Patrick Wilson spent the whole episode frowning and plot explaining, and Jesse Plemons had a similarly straightforward role, with Kirsten Dunst seeming to be thus far the only convincingly multi-faceted character. It looks like Peggy’s story is most likely to detail the transformation from innocence to malevolence as Lester’s did last year; her scheming and justification of her crazy plans is certainly familiar. Yet still, it all just seems a little shallow. You might argue that we’re asking for too much here, after all it’s only been one episode, but don’t you remember how uncannily mesmeric Thornton and Freeman’s relationship was at the start of the first season? 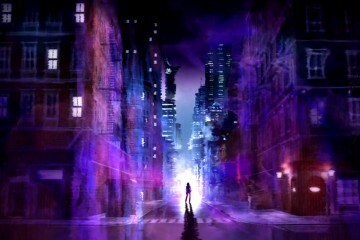 There was nothing like that last night. 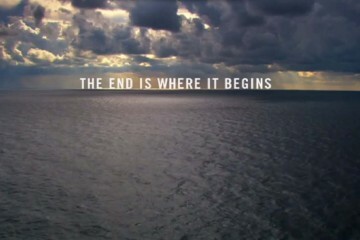 There was no disaster here, but viewers will have been left with a real sense of underwhelmed apathy. 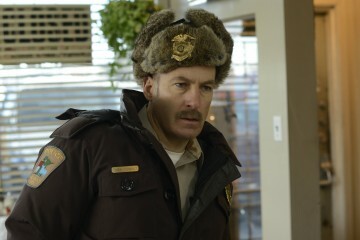 Though it is too early to judge season two of Fargo, one does fear that it may be starting to become a half-hearted imitation of itself. All the knitwear, small town clichés and gory shootings won’t fool us if, three or four episodes in, the show fails to recapture the spark that has made it so uniquely compelling in the past. We’ll stick with it for now though, there was plenty in this episode to be getting on with.